Briar Rose Creamery is located in the hills above Dundee, Oregon, surrounded by acres of forests and Pinot Noir vineyards. When we were looking for a place to build our dream and establish our creamery, we focused on Yamhill County, Oregon. We knew the area because we had family here. We loved this northwest corner of the Willamette Valley because of the natural beauty: rivers, forests, and farmland.The wineries make some of the best Pinot Noir in the world and the vibrant city of Portland is only an hour away. It was the perfect place to launch a small cheesemaking operation. Since 2010 we have been embraced by the close-knit community of chefs, farmers, winemakers, and fellow food producers and enjoy contributing cheese to the colorful palette of food made in Oregon. Briar Rose Creamery is proud to work with two outstanding family-owned dairy farms. Perrin Family Farms near Woodburn, Oregon is our source for organic Ayrshire cow's milk. 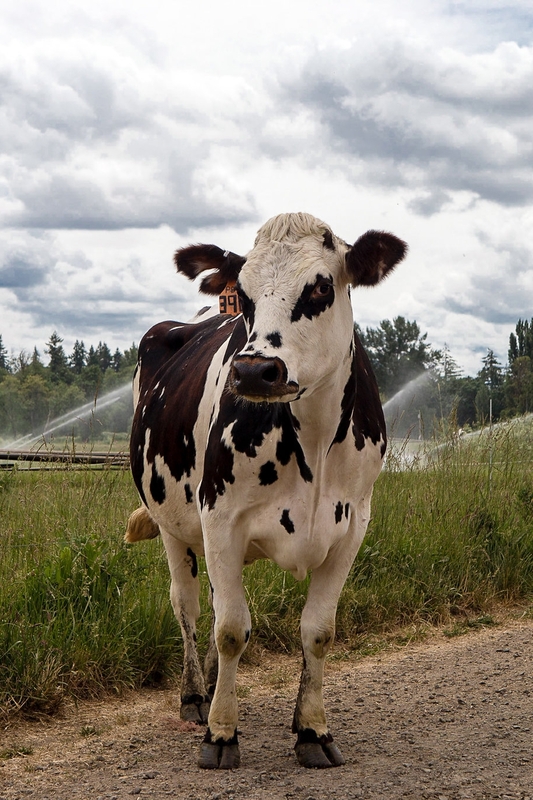 Our other source of cow’s milk is a Guernsey Dairy near Silverton, Oregon called Abiqua Acres. To make great cheese, you've got to have great milk from happy, healthy, and relaxed animals. They eat well, have lots of room to roam, and are never given any growth hormones. Briar Rose Creamery’s cow's milk comes from Perrin Family Farms, near Woodburn and Mt. Angel, Oregon. They have a certified organic herd of Ayrshire cows, a very rare breed here on the West Coast. Ayrshire milk is considered the cheesemaker's cow with cream and milk naturally homogenized (the cream is mixed into the milk.) The herd graze on 250 acres of green pasture overlooking Butte Creek in the Willamette Valley. Grass-fed for most of the year, this herd is one of the best in Oregon in terms of health as well as production. Happy and contented cows produce sweet milk, the strong foundation for our terrific cheeses. Perrin Family Farms, Certified Organic Ayshire Cows, Woodburn, Oregon.